Jeffrey “Jeff” Lynne was born on the 30th December 1947, in Birmingham, England, and is a musician, singer, songwriter, and multi-instrumentalist, probably best known for being the singer and guitarist of the rock band Electric Light Orchestra (ELO). He is also recognized as a co-founder of the band The Traveling Wilburys. Additionally, Jeff has two solo albums to his credit – “Armchair Theatre” (1990) and “Long Wave” (2012). His career has been active since 1963. Have you ever wondered how rich is Jeff Lynne, as of mid-2016? According to sources, it is estimated that the overall size of Jeff’s net worth is $30 million, which has been accumulated through his successful career as a musician now spanning over 50 years. Jeff Lynne started to play the guitar as a kid, when his father bought him one. He studied Alderlea Boys’ Secondary School, but from 16, long before Jeff co-founded the Electric Light Orchestra with Bev Bevan and Roy Wood, he was a part of several bands, including the Rockin’ Hellcats, the Idle Race, and The Move which soon became Electric Light Orchestra. Their first self-titled album came out in 1971, receiving positive critiques from several music magazines, only boosting the band`s popularity, however, Wood then left the band after several arguments with other members, which left Lynne as the one responsible for the music and lyrics of the band. Throughout the 1970s, the band`s popularity rose with each album, which only increased Jeff`s net worth. The band`s second album came out in 1973, entitled “ELO 2”, and the same year, the band`s third album was released, entitled “On the Third Day”, which achieved silver status in the UK. Until the end of the 1970s, every album which followed achieved not only gold status, but platinum as well, which only added further to Jeff`s net worth. This include albums such as “Eldorado” (1974), “Face the Music” (1975), “A New World Record” (1976), “Out of the Blue” (1977), and “Discovery” (1979), which was actually the band`s first No. 1 album on the UK charts. They continued successfully in the 1980s, starting with the album “Time” (1981), which also reached No. 1 on the UK charts. Jeff announced the disbandment of the band in 1986, but before that, they released two more albums “Secret Messages” (1983), and “Balance Of Power” (1986), which also added to Jeff`s net worth. 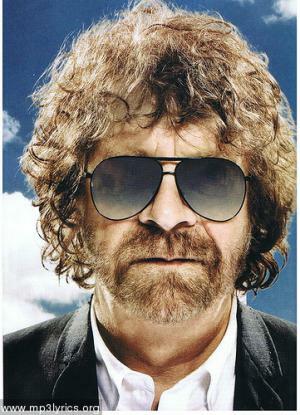 Jeff reformed ELO in 2000, and since then has released two albums “Zoom” (2001), and “Alone In The Universe” (2015), which is the band`s latest release. After his first stint at ELO, Jeff co-created something of a fun super group, The Traveling Wilburys, which also consisted of star musicians George Harrison, Roy Orbison, Tom Petty, and Bob Dylan; they released two albums, “Traveling WilburysVol. 1” (1988) and “Traveling Wilburys Vol. 2” (1990), both highly successful, before disbanding. Jeff has also had a respectable career as a solo artist, releasing two albums “Armchair Theatre” (1990), and “Long Wave” (2012), which also increased his net worth. Jeff has been recognized as a producer too, collaborating with numerous artists of the pop rock scene, including Bryan Adams, Tom Petty, Paul McCartney and Joe Walsh, among many others, which has further added to his net worth. Thanks to his talents, Jeff has received several prestigious awards and recognitions, including a Star on the Hollywood Walk of Fame in 2015, and Golden Note Award from ASCAP in 2009, among others. Regarding his personal life, Jeff Lynne has been married twice; his first wife was Rosemary (1970-77), and second wife was Sandi Kapelson, with whom he has two daughters. He also dated Rosie Vela. Currently, Jeff is in a romantic relationship with Camelia Kath. His residence is in Beverly Hills, California. 1 He was awarded a Star on the Hollywood Walk of Fame for Recording at 1750 North Vine Street in Hollywood, California on April 23, 2015. 2 He was awarded a star on the Birmingham Walk of Stars in Birmingham, England on March 13, 2014. 3 Attended Alderlea Boys' Secondary School in Shard End, Birmingham with Paul Henry. 4 Teamed up with Bob Dylan, Beatle George Harrison, Roy Orbison and Tom Petty in the group The Traveling Wilburys. 5 Began his musical ventures with an old two-track tape recorder in his parents' living room; Lynne would sometimes overlay so many parts the oxide would wear off the tape. 6 Actually worked sparsely with Electric Light Orchestra in the recording studio; band members would learn Lynne's new songs just prior to recording, and usually would hear them next on the radio... shortly before tour rehearsals began. Live recordings of Electric Light Orchestra tend to reflect a rawer sound than their highly-polished studio work, though in performance the accompanying light-show and theatrics well made up for it. 7 Transformed his Los Angeles home into a housewide recording studio, with patch bays in every room; used this extensively in making his latest album, the reconstituted Electric Light Orchestra's "Zoom". 8 Began Electric Light Orchestra with Roy Wood as a side-project to their band The Move; the side-project soon eclipsed the main one, and The Move disbanded. 9 Usually candid and open about his own work and musical ideals; almost never speaks publicly on other topics. Fans who have met Lynne usually found him kind and straightforward. 10 Lead singer and songwriter of the rock group Electric Light Orchestra. 11 Former member of the rock bands The Move and The Traveling Wilburys. Nerve 2016 writer: "You Got It"
A Hologram for the King 2016 lyrics: "Turn To Stone" / music: "Turn To Stone"
Ricki and the Flash 2015 writer: "Laredo Tornado"
Official! Biggest Hits of the 90s 2015 TV Movie writer: "I Believe"
The Official Top 50 Best-Selling Singles of the 90s and 00s 2015 TV Movie writer: "Believe"
The 57th Annual Grammy Awards 2015 TV Special producer: "Evil Woman", "Mr. Blue Sky" / writer: "Evil Woman", "Mr. Blue Sky", "Stay with Me"
Strange Magic 2015 writer: "Strange Magic"
Behaving Badly 2014 writer: "Go Right Ahead"
The Night That Changed America: A Grammy Salute to the Beatles 2014 TV Special performer: "Something", "Hey Bulldog"
American Hustle 2013 performer: "Stream of Stars", "10538 Overture", "Clair de lune" / producer: "Long Black Road", "10538 Overture", "Clair de lune" / writer: "Stream of Stars", "10538 Overture", "Long Black Road"
Anchorman 2: The Legend Continues 2013 writer: "Xanadu"
Battle of the Year 2013 writer: "Mr. Blue Sky"
Won't Back Down 2012 writer: "Learning To Fly", "I Won't Back Down"
The Iceman 2012 writer: "Livin' Thing"
Savages 2012 performer: "Do Ya" / writer: "Do Ya"
The Sitter 2011 writer: "Because I Got It Like That Ultimatium Mix"
Em dónes vida. El llibre i el disc de La Marató 2011 TV Movie documentary writer: "Tot el que tinc"
2011 Soul Train Awards 2011 TV Special writer: "Blue Sky"
Jack and Jill 2011/I writer: "Don't Bring Me Down"
Hunky Dory 2011 writer: "One Summer Dream", "Strange Magic", "Livin' Thing"
Larry Crowne 2011 writer: "Hold On Tight", "Runnin' Down a Dream", "Calling America"
Super 8 2011 writer: "Don't Bring Me Down"
Paul 2011 "DON'T BRING ME DOWN", "ALL OVER THE WORLD"
Megamind 2010 writer: "Mr. Blue Sky"
Furry Vengeance 2010 performer: "Don't Bring Me Down" / writer: "Don't Bring Me Down"
Guitar Hero 5 2009 Video Game writer: "Runnin' Down a Dream"
Marie Brand und die Nacht der Vergeltung 2009 TV Movie writer: "Free Fallin'"
Paul Blart: Mall Cop 2009 performer: "Mr. Blue Sky" / writer: "Mr. Blue Sky"
Role Models 2008 performer: "Mr. Blue Sky" / writer: "Mr. Blue Sky"
The 62nd Annual Tony Awards 2008 TV Special writer: "Don't Walk Away"
Recount 2008 TV Movie writer: "I Won't Back Down"
Chaos Theory 2008 writer: "Livin' Thing"
College Road Trip 2008 writer: "Don't Bring Me Down"
Olivia Newton-John and the Sydney Symphony Orchestra: Live at the Sydney Opera House 2007 TV Movie writer: "Xanadu"
Martian Child 2007 writer: "Mr. Blue Sky"
The Game Plan 2007 writer: "Mr. Blue Sky"
Ten Years After (A Short Life Story) 2007 Video short writer: "Mr. Blue Sky"
Heart of an Empire 2007 Documentary writer: "Mister Blue Sky"
Barnyard 2006 as Jeffrey Lynne, "I Won't Back Down"
Doogal 2006 writer: "Mr. Blue Sky"
Sleeping Dogs Lie 2006/I writer: "You Got It"
Saturday Night Live: The Best of David Spade 2005 TV Special writer: "Free Fallin'"
Tjenare kungen 2005 writer: "Livin' Thing"
Densha otoko 2005 TV Mini-Series lyrics: "Twilight" / music: "Twilight"
Sprung! The Magic Roundabout 2005 writer: "Mr. Blue Sky"
Ella Enchanted 2004 writer: "Strange Magic"
Eternal Sunshine of the Spotless Mind 2004 writer: "Mr. Blue Sky"
Rugrats Go Wild 2003 "Lizard Love"
The In-Laws 2003/I writer: "Don't Bring Me Down"
Grand Theft Auto: Vice City 2002 Video Game writer: "Four Little Diamonds"
Austin Powers in Goldmember 2002 writer: "Evil Woman"
The Sweetest Thing 2002 writer: "State of Mind"
George Harrison - Der sanfte Beatle 2001 TV Short documentary writer: "HANDLE WITH CARE"
Saving Silverman 2001 writer: "Evil Woman"
Wilde mossels 2000 writer: "Mr.Blue Sky"
Deuce Bigalow: Male Gigolo 1999 performer: "Lift Me Up" / writer: "Lift Me Up"
Outside Providence 1999 writer: "Show Down"
Detroit Rock City 1999 writer: "Turn To Stone"
The Virgin Suicides 1999 writer: "Strange Magic"
Everest 1998 Documentary short writer: "This is Love"
Heart By-Pass 1998 TV Movie documentary writer: "Birmingham Blues"
Gypsy Magic 1997 writer: "California Blue"
Boogie Nights 1997 writer: "Livin' Thing"
Jerry Maguire 1996 writer: "Free Fallin'"
Brit Awards 1996 1996 TV Special writer: "The Changingman"
The Beatles Anthology 1995 TV Mini-Series documentary producer: "Free As A Bird", "Real Love"
Billy Madison 1995 writer: "Telephone Line"
Boys on the Side 1995 writer: "You Got It"
Judgment Night 1993 writer: "Fallin"
Indecent Proposal 1993 "A Love So Beautiful"
Home Alone 2: Lost in New York 1992 producer: "Christmas All Over Again"
Robin Hood: Prince of Thieves 1991 performer: "WILD TIMES" / producer: "WILD TIMES" / writer: "WILD TIMES"
King Ralph 1991 producer: "Good Golly Miss Molly"
Lethal Weapon 2 1989 producer: "Cheer Down"
DTV Monster Hits 1987 TV Movie writer: "Evil Woman"
Shanghai Surprise 1986 music: "Zig-Zag"
Electric Dreams 1984 performer: "Video", "Let It Run" / producer: "Video", "Let It Run" / writer: "Video", "Let It Run"
DAICON IV Opening Animation 1983 Short writer: "Twilight", "Prologue"
Making Xanadu: The Musical Fantasy Movie 1980 TV Movie documentary arranger: "Fool Country" / lyrics: "I'm Alive", "Don't Walk Away", "All Over the World", "Xanadu" / music: "I'm Alive", "Don't Walk Away", "All Over the World", "Xanadu" / producer: "Fool Country"
Electric Light Orchestra: 'Out of the Blue' Tour Live at Wembley 1978 TV Movie writer: "Standin' In The Rain", "Night In The City", "Turn To Stone", "Tightrope", "Telephone Line", "Rockaria! ", "Wild West Hero", "Showdown", "Sweet Talkin' Woman", "Mr. Blue Sky", "Do Ya", "Livin' Thing"
Joyride 1977 writer: "Rockaria! ", "Telephone Line", "Showdown", "Can't Get It Out Of My Head", "Tightrope", "So Fine"
All This and World War II 1976 Documentary performer: "With a Little Help From My Friends / Nowhere Man"